A day in the waves at CoCo Key creates quite an appetite! Fortunately, CoCo Key Water Resort has plenty of delicious dining options located within the waterpark to satisfy your needs! d full-service at TradeWinds for breakfast, lunch, and dinner. Looking for somethign to eat other than Pizza? 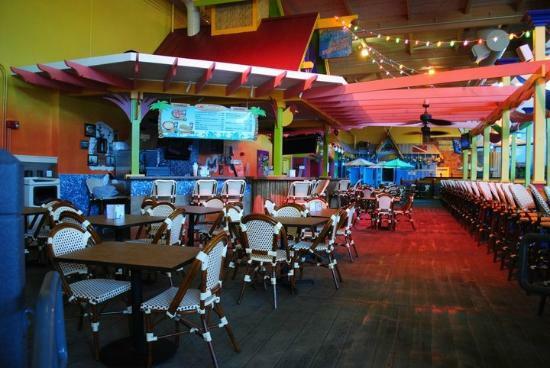 CoCo Key CIncinnati offers pleanty of options to fill your hungry stomach. Burgers, Chicken tenders along with healthy options including sandwiches and salads are just a taste of what we have for your day in the waves. Be sure to stop in and check it out! Our fully stocked bar has snacks and drinks for both adults and kids. Enjoy a smoothie, cocktail, or other tropical beverage or a light snack like warm nachos or a soft pretzel while catching a sports game on one of our flat screen t.v.’s.